The Republican tax bill is being ironed out by a conference committee to resolve differences between the House and Senate versions of the plan. The members of the conference committee have not come to a solution on major discrepancies between the two plans. Despite the issues, GOP leaders are still targeting a deadline of December 22 to pass the final compromise bill. Republicans are setting an aggressive timeline to pass the final, compromise version of the their massive tax overhaul. Now, the party just needs to figure out what that bill is going to look like. GOP leaders are targeting the start of next week for votes on the Tax Cuts and Jobs Act (TCJA). But there appear to be significant disagreements on how to resolve the discrepancies between the House and Senate versions of the bill. The committee is scheduled to have a public meeting on Wednesday, but Republican conferees are writing the bulk of the revised legislation behind closed doors. Sen. John Thune told reporters that there are still disagreements between House and Senate members of the conference committee on key issues, but he said they are working quickly to solve the problems. The Republican members of the conference need to find common ground on a significant number of issues, said Greg Valliere, chief strategist at Horizon Investments. Where exactly the conferees lands on each of these issues could invoke opposition from certain factions of Republican members of Congress and potentially throw a wrench into the TCJA’s projected impact on economic growth and the federal deficit. GOP leaders are attempting to hold a vote in both chambers on the bill by December 20. But given the unknown nature of the deliberations, the bill risks running into snags. GOP Sens. Susan Collins and Marco Rubio have already made known their demands about the final version of the tax bill. 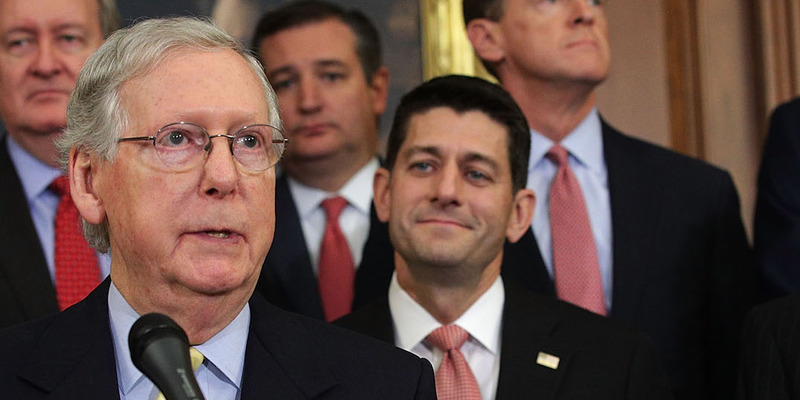 With a slim margin in the Senate and Sen. Bob Corker already voting against the first version of the bill, Republicans can’t stand to lose more than one other vote. The bill still must conform to strict Senate rules so it can be passed by a simple majority vote. Meanwhile, it has continued to get hit with steady stream of dismal polling numbers and independent analyses. Valliere said those issues could result in a bit of nerve-wracking noise for Republican leadership. But in the end, he said, the sheer force of momentum and political desire from the GOP would likely push the TCJA across the finish line.